BRYAN EATON/Staff photo. 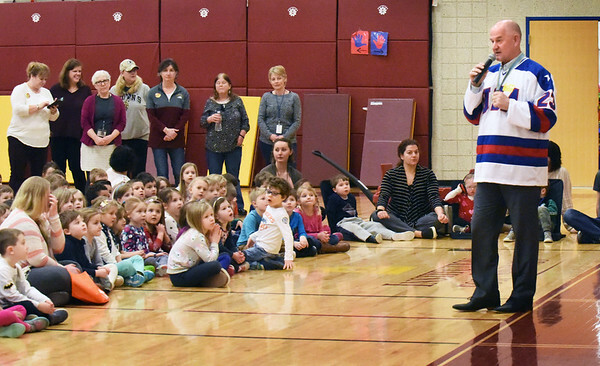 David Christian, an Olympic gold medalist from the 1980 USA hockey team, spoke to students at the Bresnahan School in Newburyport on Friday morning. He did a presentation about the history of the Olympics in general, and donated a signed copy of "Z is for Zamboni" a book about hockey that talks a little bit about their gold medal win.